Every Christmas I have a little design project that I usually share with those that are close to me. Last year I decided to design a Christmas Card for all my friends and I wrote a post about Christmas card design as well if you want to check that out later. This year I decided to focus my project on the little ones of my family, my niece and my nephew Sofía & Martín. It was their little Christmas present, so it was actually a present from the 3 Wise Kings, they will know in few years when they are not that innocent that the present was designed by their favourite aunt :P.
Martin with some of the stuffed toys. 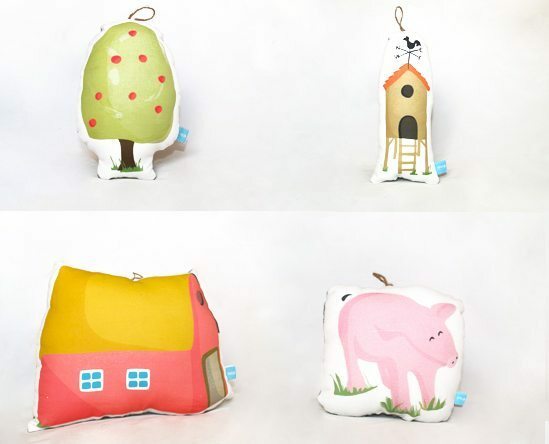 The project consisted of the design of stuffed toys with the THE FARM as the theme The illustrations were the following: a pig, two hens, a mill, an apple tree, wheat, the hen house and a barn. The illustrations are designed by me and I also designed a little label with the name of the brand “Chica” (Girl) that I’m using for these special projects. I wrote a blogpost about her as well. Check it out here. The stuffed toys farm set in a bucket. 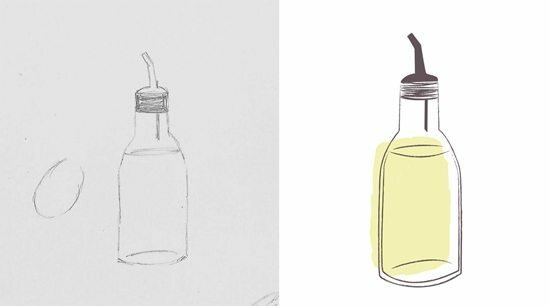 1 – I first designed the illustrations for printing – starting from sketches initially and then vectorising for print. 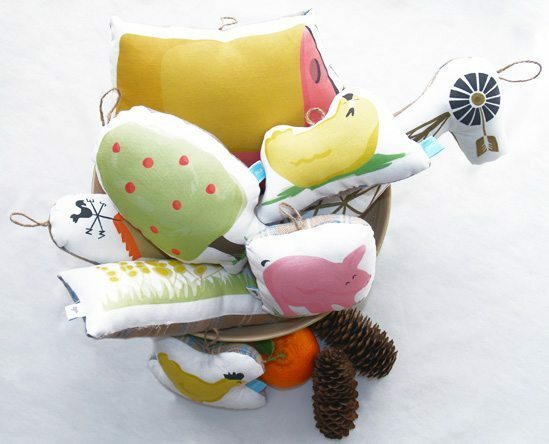 The company I choose for printing the designs was Spoonflower. I first heard of them when I took part in one of their contests for a tea towel design (and came third :D). 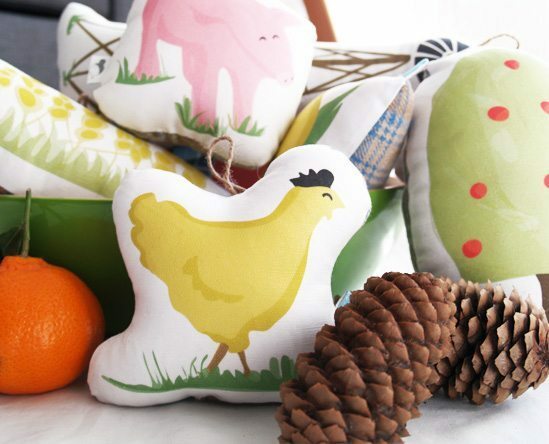 By the way Spoonflower is based in California so if you are thinking about ordering something from them factor in that shipping might take 2 or 3 weeks. I had to order the fabric one month in advance to have the cushions ready on time. I ordered 1 Yard of linen-cotton canvas, very strong fabric for little toys that are going to be handled by kids. If you are interested in starting your own stuffed toy project and want to have your own FARM I made the design public for anyone to buy so you can have your own soft toy farm. Follow this link to Spoonflower and remember to order 1 yard of linen-cotton canvas. 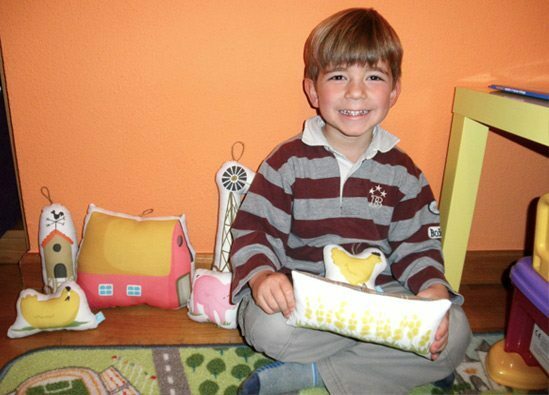 You will receive 2 full sets of soft toy patterns and few extras like: big pig, big hen and big wheat on 1 yard of linen. 2 – I bought a nice fabric in a local shop for the back of the cushions, I choose something brown and with squares as I thought it fit the theme. 3 – I bought the stuffing in a local shop as well. I think I used less than half kilo to stuff a full set. 4 – I cut all the illustrations out following the lines so that I could start sewing. As a graphic designer and a lover of infographics I could resist putting together an infographic to try help illustrate the steps and process for creating your own stuff toy – hope you like it! It’s been 4 years since I launched this site but you know what, 2014 was the biggest year yet! Express Your Gender: Express Your Gender Logo is one of my favourites of 2014. It’s very special because I knew from the beginning that it was going to be difficult to develop the concept, but I liked the challenge and I think the finished logo, and branding, works very nicely. You can read more about it here. WordPress Developer Ireland: This is a personal project, so I had complete freedom to develop the logo :D and I was also the art director of the website as well – still few bits and pieces to finish, but for now the guys are very happy with the results. The WordPress Developer Ireland logo is that kind of logo where it doesn’t just stop with the logo. The main character “the IT guy” is developed throughout the website and is used to help illustrate and explain the different services we offer. Check the website here or if you want you can read more about the logo design process here. 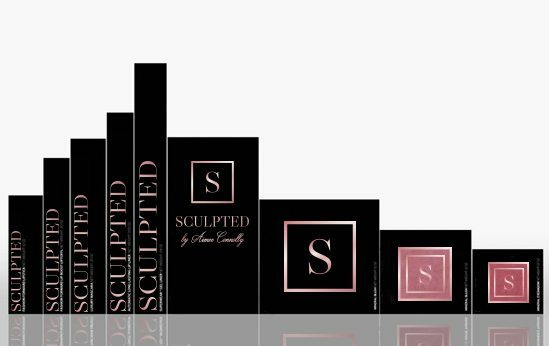 Lisa Michelle McGalliard: The logo for Lisa was also a very special, she is my first client from US, so I was a little bit nervous at the beginning. Her company is a travel agency offering trips that are a little bit different to normal trips. They are more spiritual, a trip and journey that might change your life. That’s why the dragonfly, to represent the idea of change is there, but it’s very subtle and that’s why I like the logo so much. Frank Devitt Design Innovation: My client had very clear ideas about what he wanted and he presented them to me in a way that was concise and very helpful which allowed me to come up with what he wanted quickly. I was also the art director for the website so I unified the style and concept of the logo with the the style of the website. Lisa Weir Jewellery: As a fashion designer myself I was very happy to get to design logo for another fashion company. Lisa also told me that she got in contact with me because she loved the style of my illustrations and she was looking for something along those lines that would represent her handmade jewellery. If you want to know more about the whole logo design process for Lisa Weir click here. IrishWhiskey.com: This is one of the last logos I designed in 2014 and it was one of my biggest projects. I designed the logo, I was art director for the website, social media profiles, editing photos, “The Pooka Scale” and also I designed an ad for Aer Lingus Cara magazine. It was a lot of work in the last 2 months of the year working on this project and other logo designs. I enjoyed working on this project a lot and I am very happy with the result, not just the logo itself, but check out this website and let me know what you think or click here if you want to read more about the logo process. SinglesRepublic: This is the last logo of 2014 for a cool dating web site that is different to dating web sites that everybody knows. That’s why my client requested a logo which avoided any stereotypical love icons or colours like pink and blue. We are currently working on the website so I can’t attach the link yet…but once it’s live, I promise I’ll let you know. Best Logos of 2014 – Infographic! Along with logos 2014 has also been a good year for me with infographics as I’ve designed quite a few of them and so I thought I’d round out this post with a quick infographic of some of the best logos from 2014! All in all 2014 was a great year for me for logo work and graphic design in general. Now, let’s see what 2015 is going to offer me :D If you think I can help you with a project, get in touch! 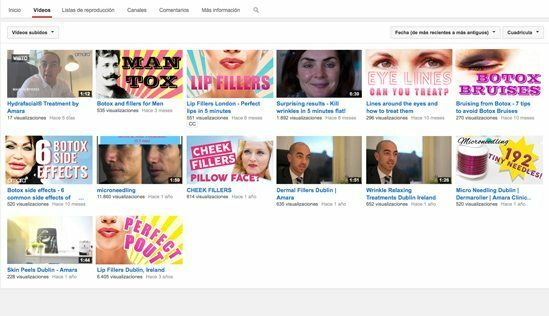 As a graphic designer I was asked to design a few Youtube thumbnails designs for a Skincare company. They were looking to get more attention and more clicks on Youtube and of course get more business. 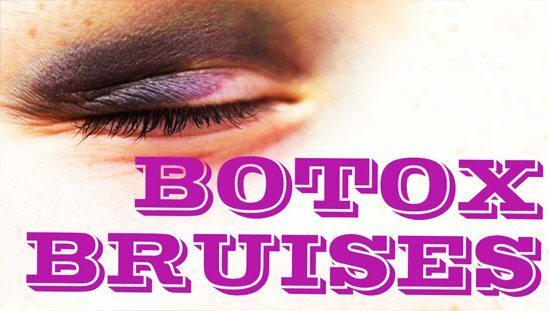 The client provided with text an a brief idea of what he wanted to see on the thumbnail, the rest was on me. He wanted to move away from just using a still frame photo from the videos and the make his YouTube thumbails stand out. Creativity here we go! 1 – Thumbnail Colours: bright, contrasting (something like neon pink and yellow works very well) and don’t forget to use white to make it “pop”. 2 – Thumbnail Patterns: they don’t need to be over complicated, just basic patterns combined with bright colours is the way to go, and of course a little bit of gradation to avoid very static thumbnails. 3 – Images: don’t add too many images, one image, bright and in focus is enough. Focus all the attention on this image and if you can use a recognizable figure, that will give you extra points. 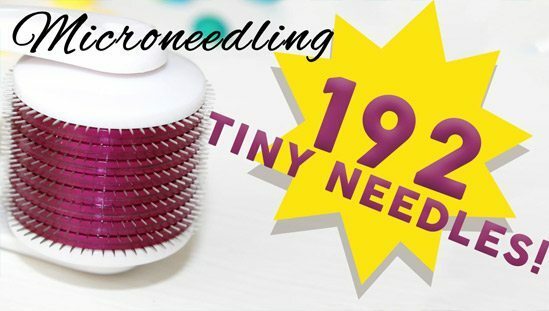 4 – Text: this is a very important part of the design, remember that the thumbnail is small and the text needs to be large enough to read, but not only that, it needs to be interesting. Keep it short and sweet and if you can try to use the word “YOU”, to catch the attention of browsers even. My client doesn’t have the new thumbnails on his Youtube channel yet, but once they are upload I’ll share them with you but for now I’ve just designed a mock-up of what they would look like. 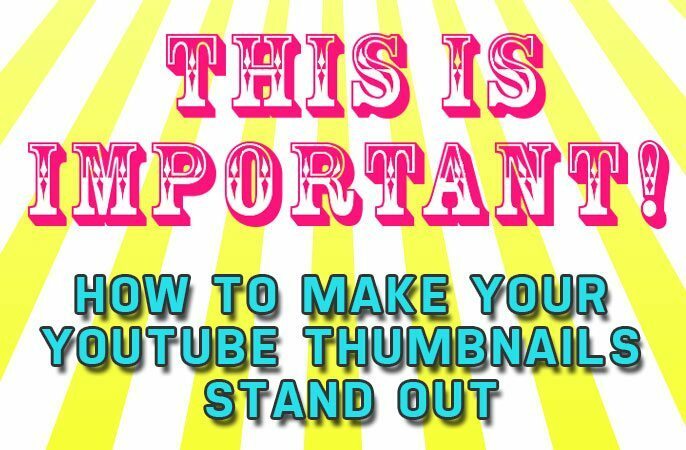 Why should you make your YouTube Thumbnails stand out? All too often once people have the video created they YouTube video they never give a moments thought to making their YouTube thumbails stand out and this is a big mistake. If you’ve spent time and energy on creating a YouTube video should should follow through and give it the best thumbnail possible to increase the click through rate and views. YouTube is the 2nd largest search engine in the world and if you have a strong thumbnail image in place for your video then there is a much higher chance of you receiving the click – especially if your video is of the “how to” or information variety as opposed to entertainment. The reason for this is that the entertainment videos are usually a bit more eye catching but there is a huge opportunity to make your YouTube thumbnails stand out for information and how to type content. Furthermore, the likelihood of a conversion from a how to or info type video is a lot higher than the probability of conversion from an entertainment video and so the efforts really should be doubled down on making your YouTube thumbails stand out. If you need any help with your YouTube thumbails then contact me! Everybody talks about how important is SEO for your website and how to get on the top of Google search, but SEO isn’t worth that much by itself if you haven’t considered the graphic design, style and appearance of your website. Appearance is not just something that gives style to your website, appearance is a very important element for increasing the trust a user has when they visit your website. 1- Page Layout: it’s important to be able to arrange the elements of every page in such a way that the user can find their way easily to whatever they are looking for. 2- Visual Signals: these elements help to focus the site visitors eyes to where you want them to look. 3- Site Structure: one of the main elements is the site navigation which gives the site it’s main structure. 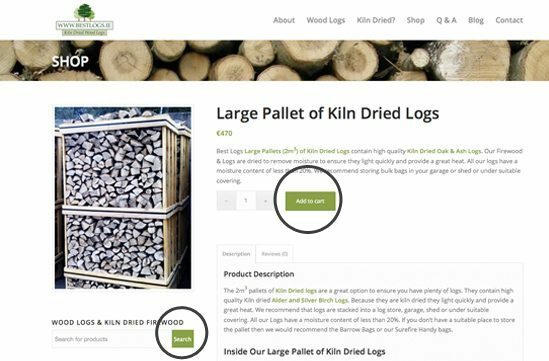 Navigation should always be logical with each section of the site easy to access. The idea is to be able to simplify in the navigation menu so the user will find quick and without trouble what they are looking for. 4- Graphic Design: icons, fonts, colours and photos should be used to create the perfect balance between all on page elements. 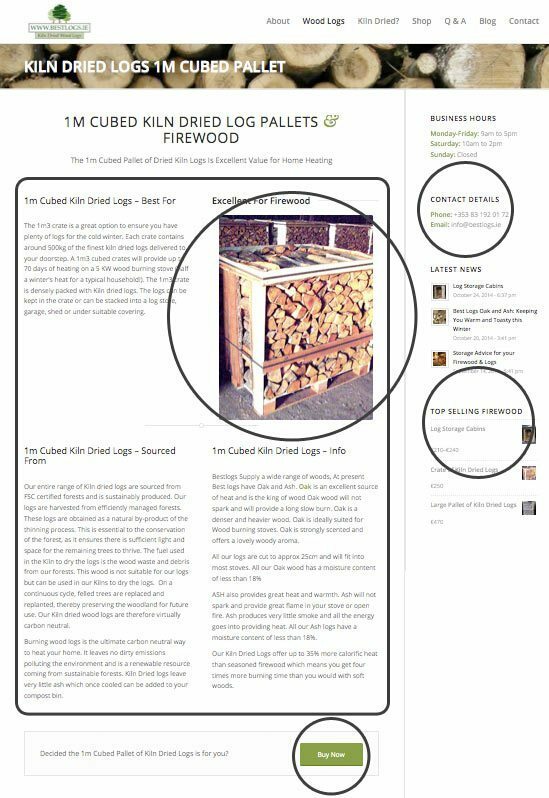 Pages should be connected by similar colours (palette of greens in this example) or pictures (always high quality pictures) making the user experience more pleasant and guiding them around the website. That’s why is important to be consistent with the fonts, layout and colors used and not to overcrowd the pages. 5- Responsive Web Design: it’s important that the website is responsive for different devices (tablet, desktop, mobile) to avoid losing users/clients and to ensure that the browsing experience is the best it can be on different devices. 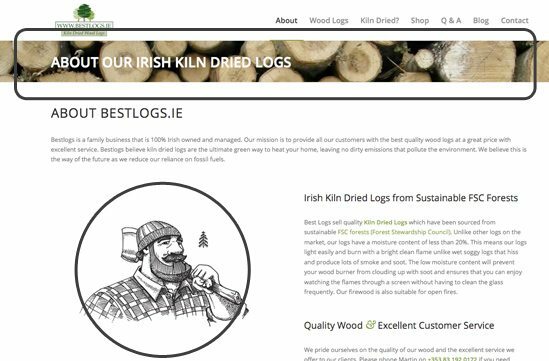 This blog post is based on my last web design project for Bestlogs.ie and I’m very happy with the final result of the website. 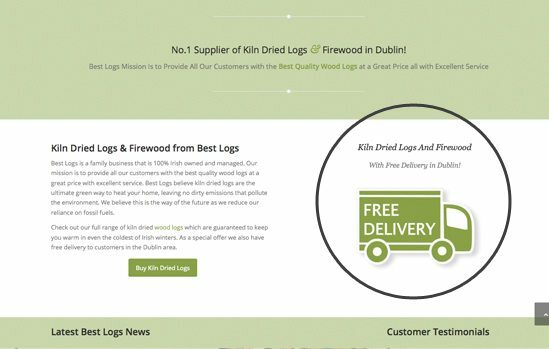 The site looks very clean, elegant and minimalistic but at the same time provides an intuitive user experience which is focused on the main site objectives, selling kiln dried firewood. The site launched a few weeks ago and is doing it’s main role well which is the most important part of the web design process, the results! As the art director for the project the logo was the first element to be develop. The colours used in the logo were to be used for the site colours as well so all the pressure was on me….no pressure. As this is a personal project time was tight to get it done as client work always comes first! The biggest problem for me was the name, “PerfectChristmasPresents.com”….it’s very long, so it made my job just a little bit more difficult…Again, no pressure. The logo that got most votes was number 3 and to be honest I liked that one too. The only problem that everyone saw was that the word “Presents” in the banner looked more like “Perfect Christmas Presents: The Best Show You’ll See This Christmas” so I needed to do some changes. I tried to change the banner for a Christmas ribbon but it didn’t work at all (3 hours trying different ribbons argggg!!!). So in the end, the logo was modified to make it work for the time constraints that were in place (and for the good of my health…I couldn’t handle drawing more ribbons!). 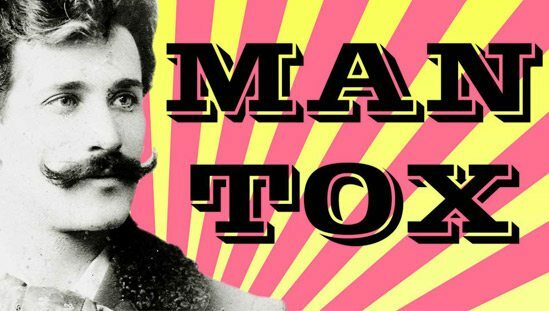 I have to confess that I am passionate about fonts, I love discovering new fonts on the web, using them, and then using them again and again and combining different fonts to perfect balance between them. 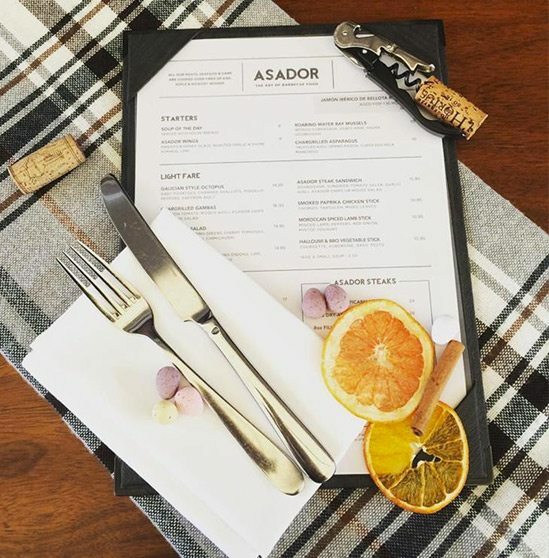 Over the past 5 years I have done a lot of graphic design work for businesses, especially in the world of hospitality and fashion and I have always considered fonts an important part of design. We all know that a picture is worth more than a thousand words, but if you combine both and create the perfect balance then you have something awesome! When I’ve been commissioned to design posters, flyers or banners my objective has always been to find the right balance between images and fonts. When I choose a font everything is thought about very carefully, the font has to be the perfect one for the design. My last project was to develop a set of designs to promote the fashion brand LadyUmbrella. Each graphic design included a quote and an image of some of the LadyUmbrella products or something related to the development of the brand. The objective was to create a bond between the viewer and the brand. Some of the quotes selected were looking to make people think about their own life, although other quotes were just a way to put a smile on their faces. Quote: “Write your sad times in the sand. 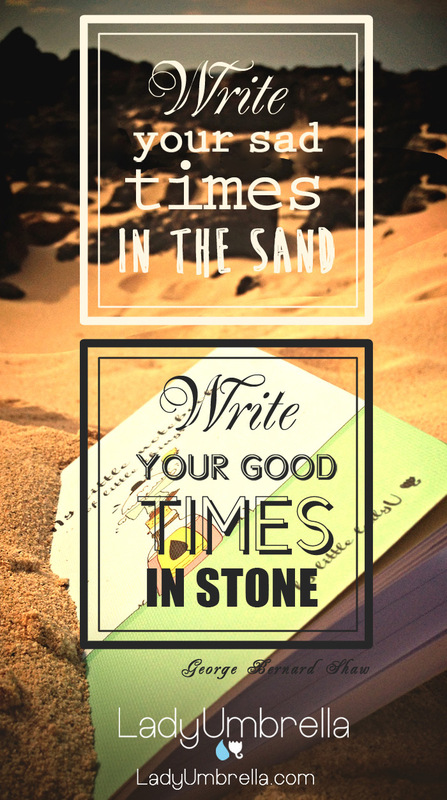 Write your good times in the stone” The background picture was taken in Fuerteventura (Canary Islands) and it promotes the LadyUmbrella Notebook. 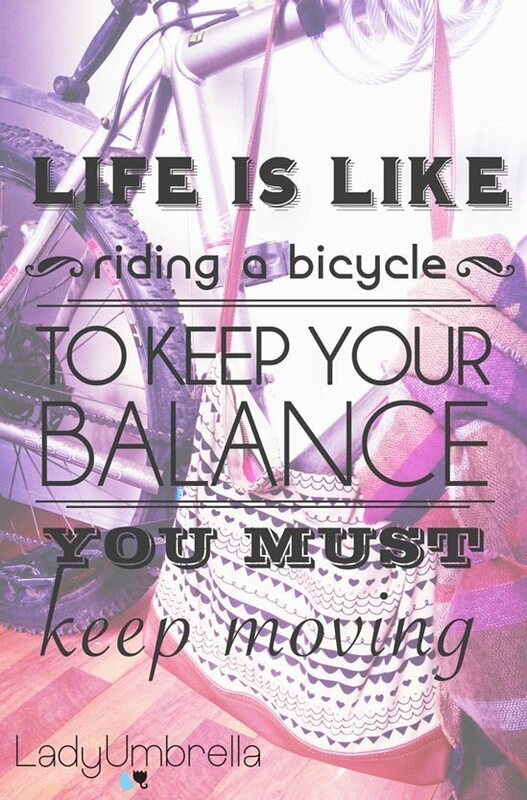 Quote: “Life is like riding a bicycle to keep your balance you must keep moving”. One of my favourite quotes and probably my favourite graphic design of the lot because of the balance between the fonts and the image. Quote: “Everybody should believe in something. 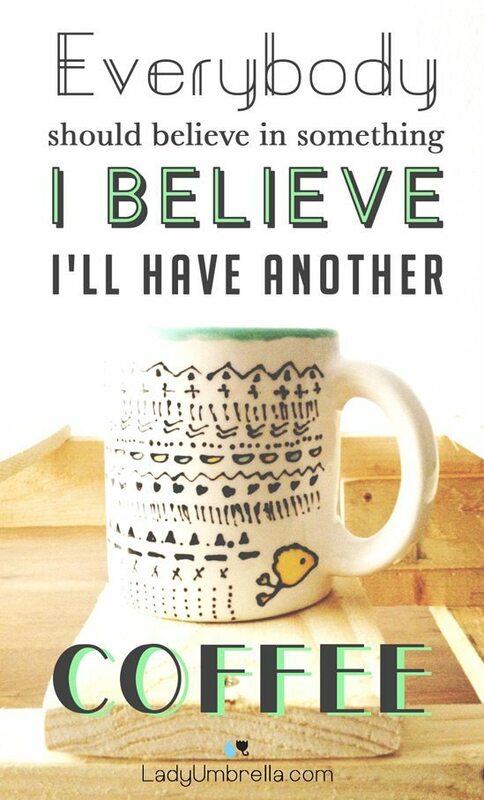 I believe I’ll have another coffee”. The LadyUmbrella team loves coffee and they wanted to tell their followers something about themselves. The mug was hand-painted by the LadyUmbrella team. 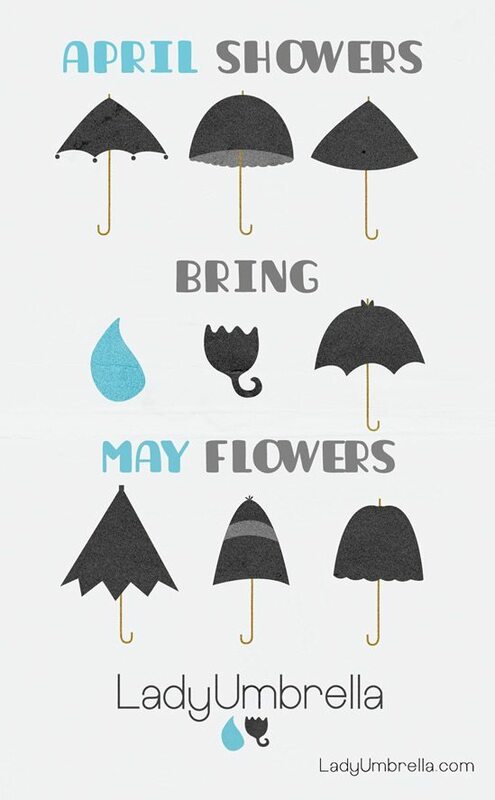 Quote: “April showers bring May flowers” It was April and it was raining…that was my inspiration…and the umbrella of LadyUmbrella of course. Quote: “Life begins at the end of your comfort zone” LadyUmbrella moved from Dublin to the city of Madrid (Spain) and they wanted to tell all their followers. I got the inspiration from this video I highly recommend you watch it. It talks about leaving the comfort zone in a very artistic way. 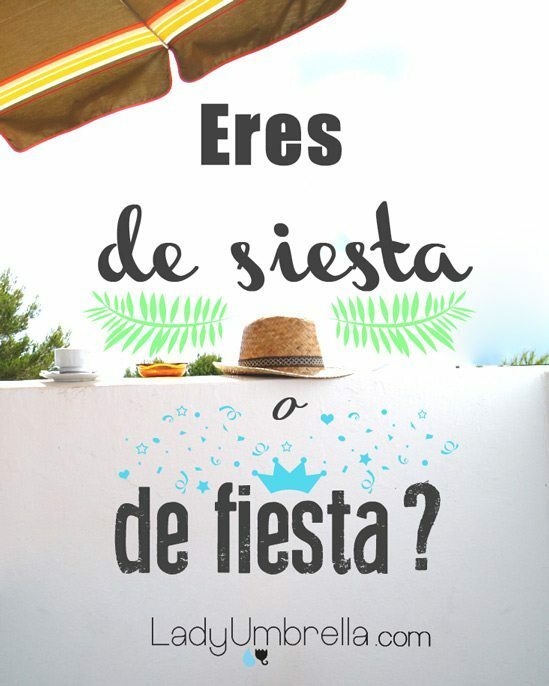 Quote: “Eres de siesta o de fiesta”.. (Are you a siesta or party person? )… it isn’t really a quote but I love everything with rhythm (in Spanish of course). Follow my Board on Pinterest: “Quote of the Day” if you want to read more interesting quotes. Designing a logo for Sacs & Complements, a clothing company based in Formentera, was an enjoyable experience. Yes, I know I might sound a little bit tacky, but sometimes I have to confess that I really enjoy working as a graphic designer. There are some times that graphic design can be tedious or frustrating…but not this time. 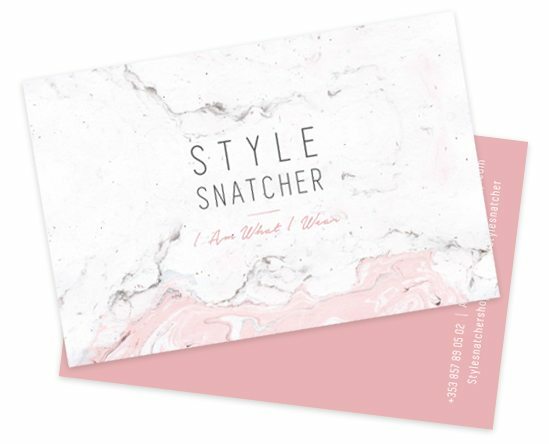 Anna Costa, from Formentera (one of the Balearic Islands) ordered a logo design for her clothing company (handbags mostly). The name of the company was Sacs & Complements and one thing that my client requested was that she wanted something simple and not overcomplicated. Keep it Simple: I avoid adding too many colors, multiple fonts or layered images because the logo will get to confused and people/customers won’t know where to focus on. 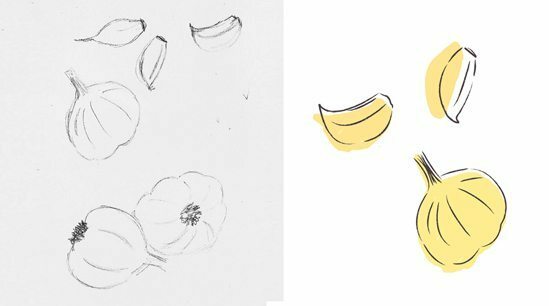 You want to design a logo with simple shapes because it’s easier for your customers to remember. Psychology of Colours: Each color has a different meaning and when I chose colours for a logo I always check their different meanings before making the final selection. For Sacs & Complements I decided to use a coral colour, it is actually a very trendy colour right now but at the same time it express happiness, energy and desire – qualities that perfectly describe the brand. Should you include the name of the brand in the logo? : Logos can or can’t include the name of the brand, if the name is too generic or doesn’t translate well globally you shouldn’t include the name, although if you have to build name recognition then the brand name should be included in the logo design somehow. In the case of Sacs & Complements she wanted to add the name to the logo to build recognition but it was a little bit too long so I suggested to replace it for Sacs & Co instead. Search the web, to get inspiration – but not copy: I think is important to check logos of other similar businesses and see what you like, or don’t like (I asked my customer to name some clothing brands that she likes herself) as this can help the logo design process. These logos help you to get ideas of what you want to do… but always remember that a logo should be simple, memorable and timeless. We added the name of Formentera to the logo for marketing purposes. Her products are made in Formentera, making her brand very exclusive and unique. If you’re lucky enough to go this summer to Formentera you can check this brand at Full Moon Shop, located in Sant Francesc Xavier. To a degree I’m like a proud mother with some of my logos and I love seeing what clients do with them and use them for. I particularly like the wooden box with the logo scorched into it – pretty cool! A week ago I was surprisingly announced as a finalist in first contest as a graphic designer. 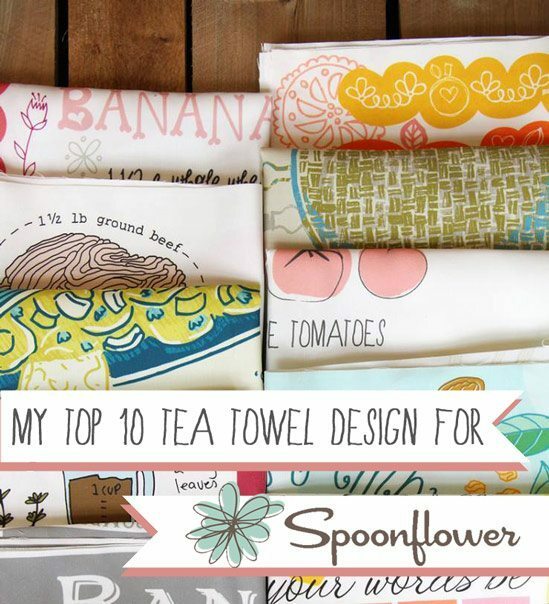 I’ve received an e-mail telling me that my Tea Towel Design was among the top 10 finalists in Spoonflower contest. Yeah!!! I decided to participate in one of the weekly contests by Spoonflower but firstly what is Spoonflower? 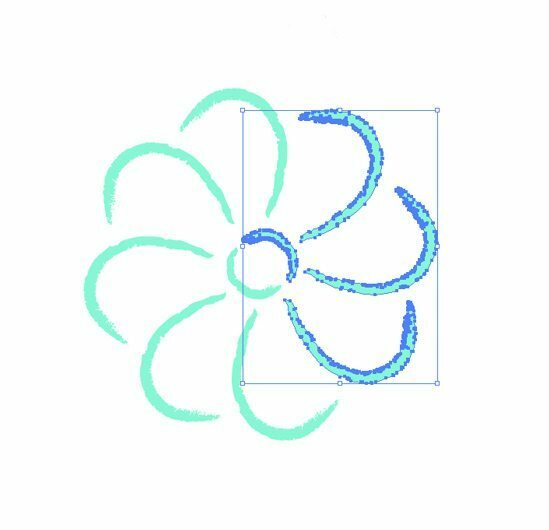 Spoonflower is a website where you can upload your designs (usually patterns) and print them in fabric, wallpaper or gift paper. They have a huge community as well so you can also print other designers designs. They are located in US but they ship anywhere around the world. The contest was asking for a design with one of your mum’s recipes. 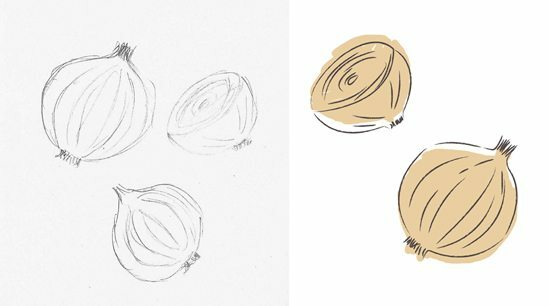 I needed to choose one of my mum’s recipe but my first thought was that I might have a problem trying to illustrate one of my mum’s recipes. She is a great cook of Spanish food, like potato omelette (potatoes, eggs and onions) or chicken soup (pasta and chicken stock), delicious but the colours of the ingredients were very pale and they weren’t going to work at all. From the beginning at I had clear that I wanted ingredients with bright colours to give a very eye catching tea towel, my mum’s recipes weren’t ideal for it. 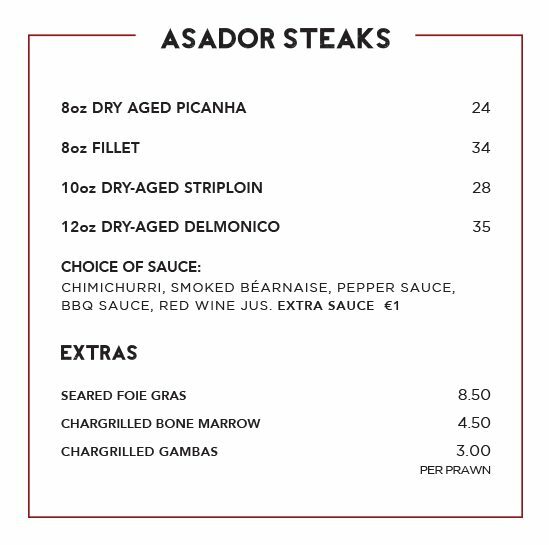 On the other hand Spanish food is not as well known as Italian, Mexican or Chinese food, so my chances of winning the contest might have been reduced due to that reason. I decided to use my boyfriend’s mum’s recipe, he is Irish and so was his mum. 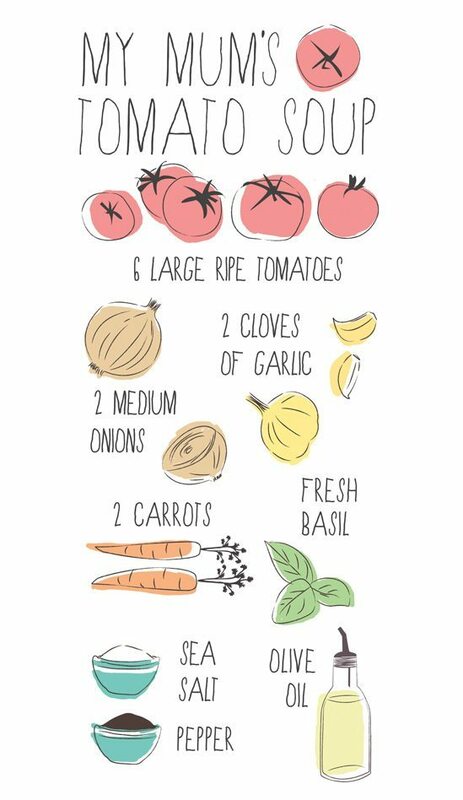 She was a great cook and she had lots of great recipes but I decided to use her Tomato Soup recipe because the ingredients were perfect to create a bright tea towel, ingredients with reds, oranges and greens colours will do perfectly. 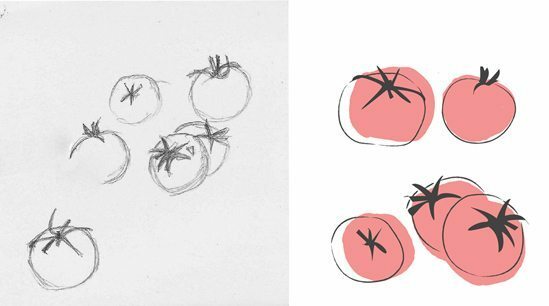 Firstly I hand drew every ingredient (tomatoes, onions, garlic, basil, carrots, olive oil, salt and pepper), then I scanned the illustrations and proceeded to draw them with Illustrator CS. I then added the colours digitally and the last thing to do was to add the text. The font in the design is called “Skinny”, I don’t use it regularly but it is very handy when you need to create something with a casual look. Although I didn’t win the contest I’m very happy to be among the top 10 finalists (it was my first contest!) Also the tea towel is on sale on Spoonflower and it is selling quite well. 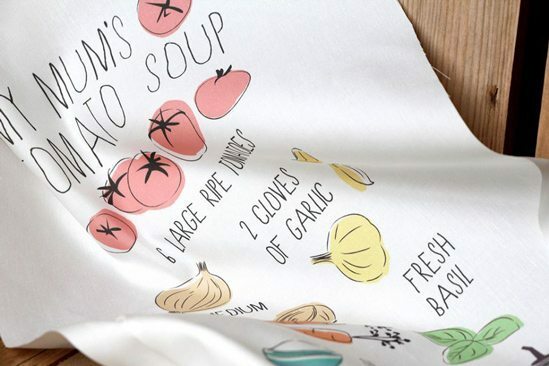 I love the idea of people using my tea towel design in their kitchen. I decided to participate in another contest again…. so wish me luck. When a client asked me to design a logo for them I always thought that the customer should have some previous information about how the process is going to develop and what they are going to get at the end, when the logo is finally design. That’s why I decided to do a list with 5 things that anyone should know before reaching a graphic designer and request a logo. It is very important that you have an idea of what you want. Give the graphic designer few guidelines and also tell his/her what not to do. Vectors can be enlarged or reduced, to any size, this allows you to print your logo on the side of a pencil or a billboard without losing sharpness or clarity. Make sure that the final logo is clear and simple, just up to 2-3 colors. Remember that the logo is how you project your brand and create a reaction in the viewer. Try to avoid complexity. You will receive a presentation of few different designs of your logo. Now is time for you to decide. Don’t be afraid to ask for variations of the designs or even ask the graphic designer or people close to you for their opinion. – Vector format: EPS, PDF or AI (Adobe Illustrator). As a result of designing that infographic for Robert Ryan, Martin Shervington asked Rob to help design a cosmic infographic for him about Google Plus. Martin is big in Google Plus (currently 370,000 followers), which is a network I’m trying to get more active so I was happy to work with Martin. To start working on an infographic firstly you need the content and some basic information like: theme, colours, desired style and any font considerations. and so Rob and I brainstormed a few idea that we developed during the design process like: planet with advertisements, rocket, aliens, spaceman…the most difficult part was to fit the content around the different graphics and create a balance between words and image. When the first few ideas were on the screen we sent the first draft of the infographic to Martin to get his feedback and thematic green light. For the final draft Martin consulted with a few others from the Google+ community and this iterative process yielded a few more changes until completion. Thankfully Martin was happy with the result. All the illustrations are designed are by me with Illustrator and I tried to use the predominant colours of Google+. The design work took around 10 hours and additional 2 hours of reediting. As a result of doing this infographic I’ve now added infographic design as a new service I’m offering so if you’re interested then get in touch! Give Your Business An Infographic And..
Infographic design is something that I’ve been doing a lot of recently for a few clients. From designing these infographics for them, and seeing how they have spread, I’ve been able to see a few benefits of infographics, which I’ve highlighted below (with an infographic of course!). When approaching infographic design, like all graphic design work, I first work with the client to extract the info for the infographic. The best way to receive the info is in rough doodle or sketch, stickmen and pointy arrows type thing, as this gives me an idea of what has to be portrayed. After that it’s a case of finding the best way to visually represent the concept or info. 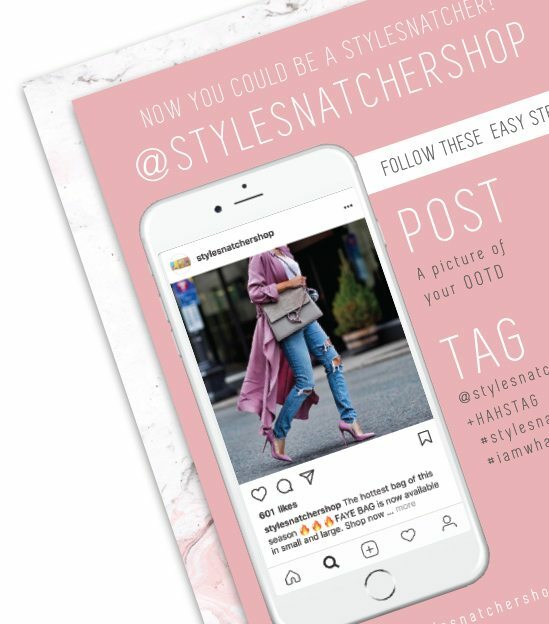 Now, onto the benefits of infographics – people will share the infographic, people will talk about the infographic, people will post the infographic on different social networks, people will engage with it, people will visit your website because of it, people will be exposed to your branding! All of these and more can happy with a good infographic. Good infographics get you good, organic back links as people share and link back to your website. 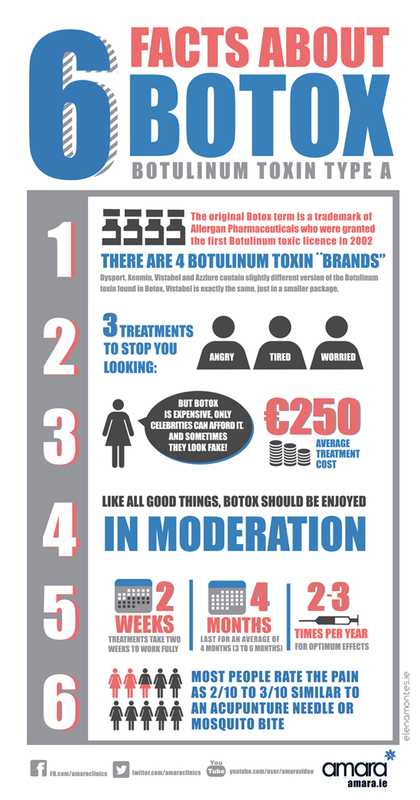 I would like to show you as well few examples of infographics that I have done for RobertRyan.ie and Amara.ie They have used them in different social networks like Google Plus, Pinterest, Twitter & Facebook as well as sharing on their business blog. 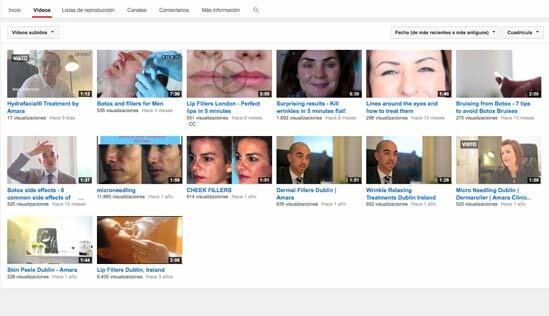 Client: RobertRyan.ie – has over 30,000 views on Google Plus alone. Client: Amara.ie – which generated social chatter and some backlinks. Client: RobertRyan.ie – over 250 shares on Google Plus! If you’re thinking about getting an infographic for your business please get in touch!